Have you ever wondered what kind of brilliant minds found these anagrams? 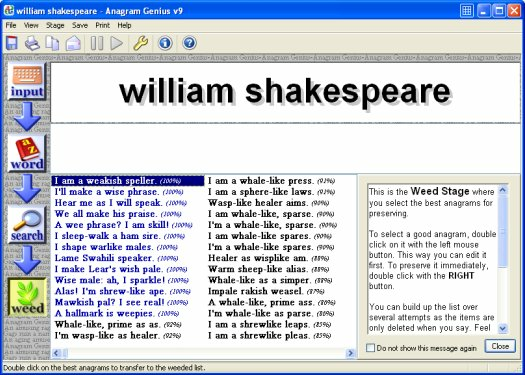 I was surprised to find out that the credit for most of the more famous anagrams in the last decade or so does not belong to a human being, but rather to a computer. In fact, most of the truly great finds owe their existence to one specific computer program. It's called Anagram Genius and I've been having some fun with it of late. You can tell just by looking at him that he's a guru, don't you think? Anyway, one day in September 2002, William received an email from a customer. 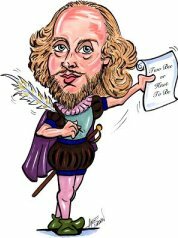 The customer was a fledgling author who was writing a mystery novel that relied extensively on anagrams, and was using William's anagram generator to accomplish it. 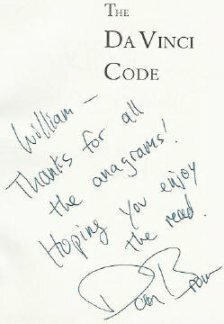 After exchanging a few emails, William sent the author a copy of an anagram book he had penned, and the author in turn sent him a signed copy of the novel he had finally been able to complete thanks to William's Anagram Genius. 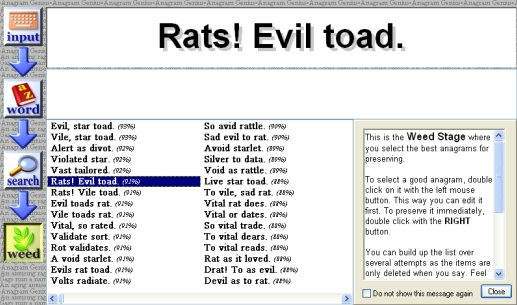 You can get the low-down on all the funky things this anagram generator can do, and also download a free trial copy here. But make sure you've got plenty of time to kill, and that the boss isn't standing behind you!